Five years after the introduction of the $1,000 genome, the sequencing field remains rife with chatter about pushing the cost much lower—not only to $100 (and why the world may not be ready for it), but as far down as $10. Coming close to that $100 benchmark last year was Veritas Genetics. In November, the company offered a substantial 80% discount from its usual $999 price for its myGenome Standard whole genome sequencing service, including interpretation of results, by offering the genetic test at $199 to the first 1,000 customers nationwide (except New York state) who ordered for a limited time. Veritas planned an up-to-two-day period for the offer, but needed just 6 hours to draw the 1,000 customers. Yet as GEN reported earlier this year, the race to drive sequencing costs ever lower may soon give way to a different kind of competition, in which companies one-up each other based on their ability to incorporate more powerful interpretive tools, support embedded applications, or tolerate adverse environments. That will require all sequencing companies—especially the top 10 providers ranked here by GEN—to look beyond quoting the lowest price as they strive to attract customers, especially if they hope to expand their businesses beyond research labs into clinical settings. In March, Grand View Research projected the NGS market would grow at a compound annual growth rate of 12.78%, from $8.49 billion last year to $19.7 billion by 2025, driven not only by clinical uses—such as application of the technology into companion diagnostics—but by expansion to emerging countries as well. Below is a list of 10 top sequencing companies, ranked by revenue—either companywide for companies entirely focused on the segment, or for sequencing-related business segments of companies with broader operations. Each company is listed by name, revenues for the most recent year or 12-month period, and a short description of recent company activity, where the revenues were derived, or both. Numerous other companies have positioned themselves in recent years for future growth in sequencing. In 2015, for example, bioMérieux partnered with Illumina to develop bioMérieux EpiSeq™, an NGS service for epidemiological monitoring of bacterial infections. More recently, in reporting 2018 results on March 5, Eurofins Scientific said that as a result of acquiring GATC in 2017, its Eurofins Genomics Services business “is now by far the largest provider of sequencing services in Europe, in both the traditional Sanger sequencing field, as well as in the next generation sequencing field.” However, Eurofins does not disclose revenues for the genomics business, and thus is not included in the list. Roche in 2013 shut down the 454 Life Sciences business it acquired from CuraGen six years earlier but retains a Roche Sequencing Solutions (RSS) business focused on simplifying workflows and expanding assay menus. RSS is within the molecular diagnostics business area of Roche’s diagnostics division, which last year generated CHF 12.9 billion ($12.925 billion) in revenue. BD (Becton, Dickinson, and Co.) provides NGS workflow solutions through its bioscience unit within the life sciences segment, for which BD has reported 2018 revenue of $4.33 billion. PerkinElmer provides NGS workflow solutions through its applied genomics unit within its diagnostics segment, which finished 2018 with $1.08 billion in revenue. Oxford Nanopore saw its revenues more-than-triple in 2017 from £4.5 million ($5.9 million) a year earlier. Yet the company also enjoyed two major financings during 2018: Amgen’s £50 million ($65.6 million) equity investment in October, and a financing of £100 million ($131.2 million), completed in March 2018. Last month, Clear Labs agreed to integrate Oxford Nanopore’s GridION X5 DNA sequencing technology into its Clear Safety NGS platform designed for food safety testing of pathogens and other contaminants. Also in March, Oxford Nanopore’s new R10 nanopore was released from internal use into an early access program, with the resulting feedback expected to shape the product’s eventual wide release. For perhaps the final time on February 11, PacBio reported its annual revenues, disclosing a roughly 16% decline from $93.468 million a year earlier. PacBio finished last year with a net loss of $102.562 million, up from the $92.189 million net loss of 2017. The company is being acquired for $1.2 billion by Illumina, in a deal designed to expand its offerings with PacBio’s long-read sequencing technologies. The transaction is expected to be completed in mid-2019. Meantime, PacBio has highlighted improvements to its Single Molecule, Real-Time (SMRT®) Sequencing technology, including the new Sequel II System, designed to increase data output by approximately a factor of eight with its new SMRT Cell 8M. Macrogen finished 2018 by achieving Clinical Laboratory Improvement Amendments (CLIA) accreditation for its NGS clinical laboratories at its Seoul headquarters, and at Bundang Precision Medicine Center—the first Korean clinical labs to earn the distinction, says the company. “This gives us an advantage in building genome big data with medical institutions throughout the world,” CEO Kap-Seok Yang stated on December 20. Last year also saw Macrogen win College of American Pathologists (CAP) for those labs, as well as grow its revenues 8% from 2017. On March 19, Macrogen partnered with Australian biotech Microba to develop a shotgun metagenomics sequencing service designed to analyze all microorganisms in the gut microbiome, starting in South Korea and expanding to other global markets including the United States. GENEWIZ revenues grew about 33% from $91 million in FY 2017, and management expects to generate revenues that exceed $140 million in the current fiscal year, says the company’s new owner. Brooks Automation acquired GENEWIZ for approximately $450 million cash, in a transaction completed November 15, 2018. The company has since generated $33 million in fiscal Q1 revenue, of which $16 million came under Brooks ownership. That represents a 20% year-over-year increase, driven by 30% NGS growth and 15% Sanger sequencing growth: “Even in the midst of the sale process and a very busy first quarter of integration activities, the team did not skip a beat, and the business delivered to commitment,” Brooks CEO Steve Schwartz told analysts February 5, according to a transcript published by Seeking Alpha. QIAGEN disclosed NGS sales in releasing fourth-quarter and full-year 2018 results on February 5—and committed itself to generating about $190 million in NGS sales this year, up 36%. Last year QIAGEN launched the QIAseq TMB Panel with proprietary digital NGS technology designed to predict responses to immuno-oncology drugs, as well as the QIAseq FastSelect RNA Removal Kit designed to enable faster, simpler library preparation for RNA sequencing. Additionally, “our GeneReader NGS System is successfully created a position and following in the market for bench top oncology sequencing as evidenced by new placements in growing consumable sales in 2018,” CEO Peer M. Schatz told analysts on the company’s Q4 2018 conference call. 10x Genomics showed the most year-over-year revenue growth of any company on this list, doubling from $71 million in 2017, good for a No. 9 ranking in last year’s GEN list of sequencing companies. In January, 10x Genomics announced a $35 million extension of its Series D financing, bringing its total capital raised to $243 million. Meritech Capital Partners led the round, with Fidelity and Wells Fargo participating. 10x Genomics has scaled up operations by launching six new major products, and acquiring two companies. The company bought epigenetics company Epinomics in August 2018, and two months later acquired Spatial Transcriptomics, a provider of spatial genomics technology designed to allow RNA sequencing to perform in 2D. Business related to Agilent’s NGS workflow amounted last year to approximately $250 million in annual revenues, a figure the company publicly stated at its Analyst/Investor Day in June 2018. That would be 26.5% of the $943 million in 2018 revenue reported by Agilent’s diagnostics and genomics group (DGG). Last year, Agilent identified NGS-based clinical oncology among high-growth markets where DGG is positioned to be a leader, citing internal estimates of a $600 million serviceable addressable market growing at a 25% compound annual growth rate. “Our NGS-related business again grew double digits this quarter,” Agilent president and CEO Mike McMullen told analysts on February 20 in reporting fiscal Q1 results, without giving details. Revenues: RMB 2.463 billion ($366.348 million) in Q4 2017 and Q1-Q3 2018. BGI Genomics isn’t scheduled to report full-year 2018 results until April 25, but the company’s most recent four quarters of results showed nearly 18% growth from the RMB 2.095 billion ($311.607 million) reported in 2017. BGI Genomics says it is the leading genetic testing company in China, where it performs over one million cell-free DNA tests annually. In the U.S., BGI Genomics offers human whole-genome sequencing starting at $600. On March 11, BGI Genomics disclosed plans to commercialize Natera’s Signatera molecular residual disease (MRD) test in China, and develop reproductive health tests in select markets on BGI’s sequencing instruments, through a $50 million partnership. Thermo Fisher Scientific is offering no update on the revenue generated by its NGS business since last year, when CEO Marc N. Casper told analysts that the business “represents just under 2% of our revenue.” The percentage may even be higher, since the company in January 2018 launched a benchtop line of NGS instruments, the Ion GeneStudio S5 Series. Thermo Fisher includes NGS within its life sciences solutions segment, which in 2018 accounted for $6.269 billion of the company’s total revenue of $24.358 billion. 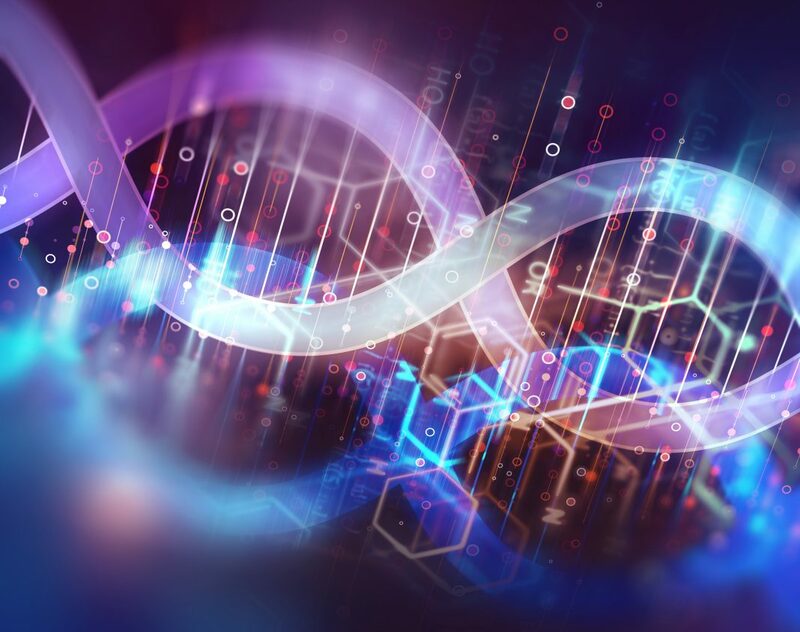 Thermo Fisher does say clinical NGS sequencing was among key drivers of fourth-quarter growth for life sciences solutions, along with two other primary businesses bioproduction and biosciences. Illumina CEO Francis deSouza told analysts at the J.P. Morgan 37th Healthcare Conference that the sequencing giant continues working to drive the cost of sequencing down to a $100 genome—without offering a hint as to when his company will deliver. Illumina has credited greater use of its instruments in clinical settings, as well as the research and applied markets, with helping drive growth; revenues jumped 21% over 2017. David Bentley, Illumina vp and chief scientist, recently told GEN sister publication Clinical OMICs the company plans to transition the U.K.’s 100,000 Genomes project from its HiSeq sequencers to its top-of-the-line NovaSeq sequencers this year, upon completion of the validation process.